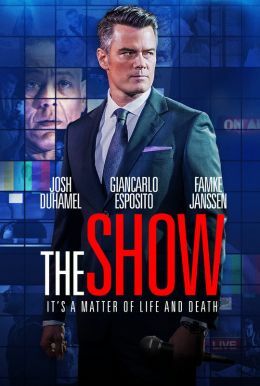 Josh Duhamel, Famke Janssen, and Giancarlo Esposito highlight this pulse-pounding thriller about a reality show that exploits the on-camera deaths of its players — on live TV. After a dating show ends in violence, its host Adam Rogers (Duhamel) and a ratings-hungry network exec (Janssen) launch a terrifying new program that promises fresh kills every week. The tension mounts as a kindhearted janitor (Esposito) joins the deadly program, hoping to help his struggling family survive…at any cost.